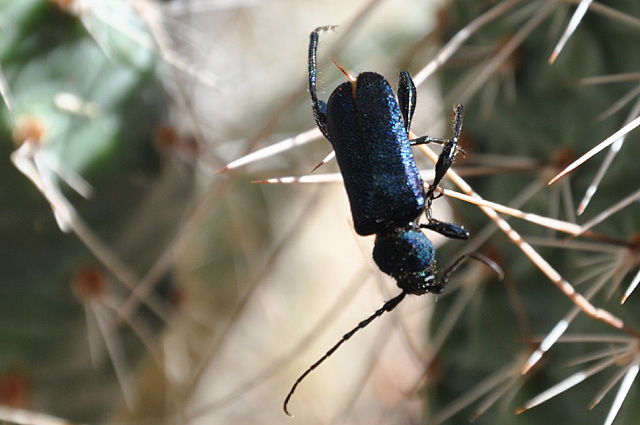 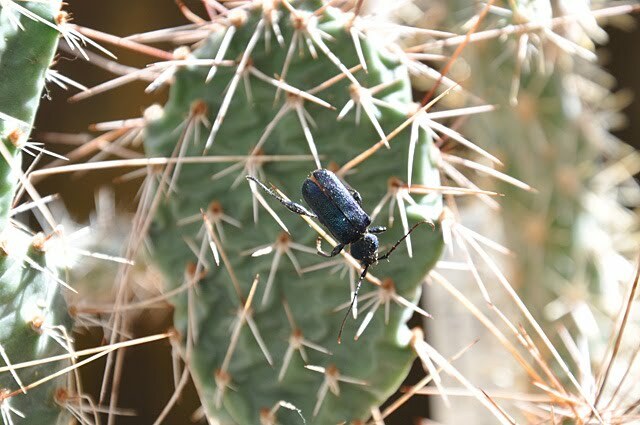 Yesterday I found a metallic blue beetle crawling on one of my Opuntia polyacantha var. 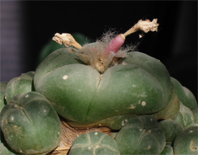 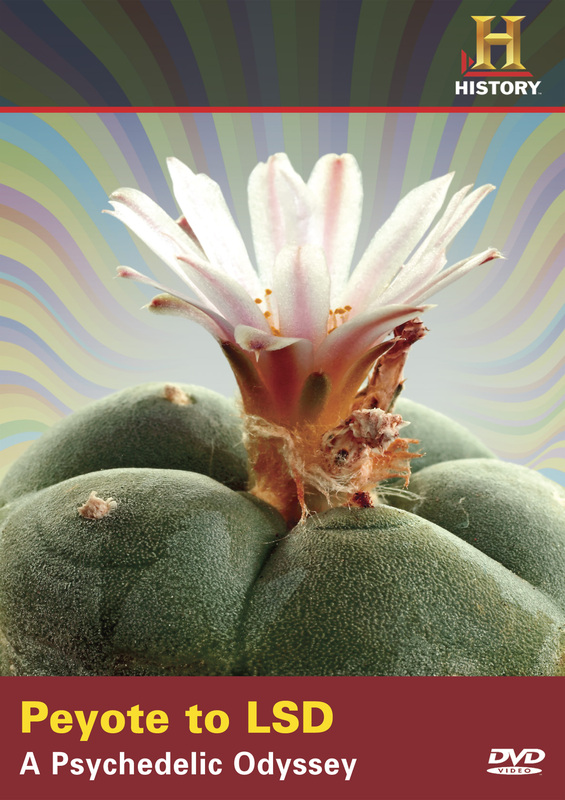 hystricina plants. I’m by no means a coleopterist and don’t know if this beetle is a potential “cactus eater” but I liked its metallic blue exoskeleton and the agility with which it was maneuvering the spines so I let it be.